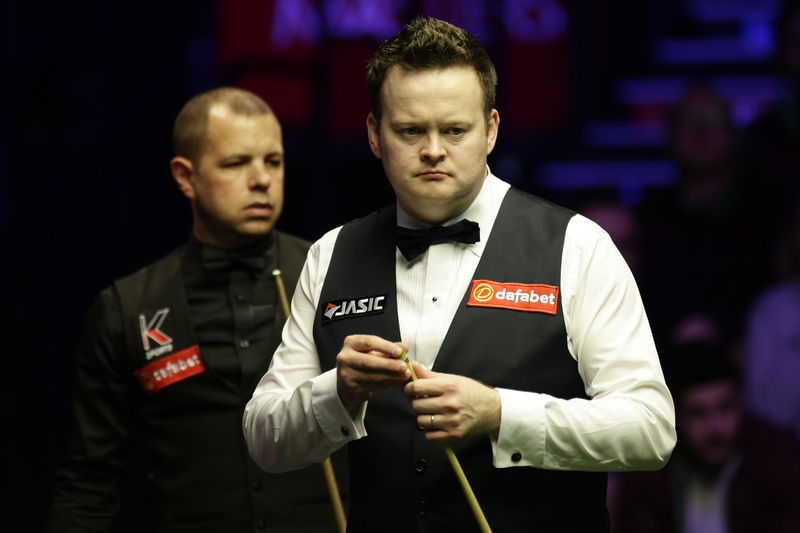 Shaun Murphy joined Mark Allen, John Higgins and Mark Williams as the former champions to be knocked out of the Dafabet Masters as he was beaten 6-2 by Barry Hawkins. It was a surprising scoreline at Alexandra Palace as the form which took Murphy to last month’s Scottish Open final deserted him. 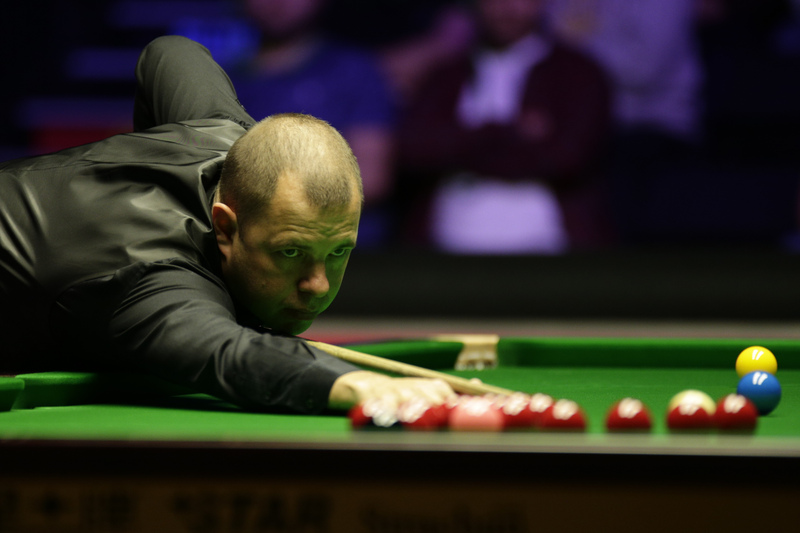 World number seven Hawkins goes through to a quarter-final with Neil Robertson on Friday evening. Hawkins failed to win a match in his first five appearances in this tournament but since then he has learned to thrive on the big occasion. He reached the final in 2016, losing to Ronnie O’Sullivan, and the semi-finals the following year and will be confident of another deep run this time. Hawkins took the opening frame tonight with runs of 31 and 38 then came from 54-2 down in the second, snatching it with a 35 clearance. The Londoner stepped up a gear as breaks of 86, 124 and 60 made it 5-0. His century in frame four made him the 20th player to score 300 career tons. Murphy, who won this title in 2015, pulled one back with a break of 74, raising an arm and bowing to the crowd as he finally registered on the scoreboard. And he raised his hopes of a fight back by adding the seventh with runs of 37 and 38 to close to 5-2. Frame eight came down to the colours and Hawkins trapped his opponent in a tough snooker on the yellow. Murphy not only failed to escape but sent the cue ball into a centre pocket, handing Hawkins the chance to clinch victory. “It was a big moment to nick the second frame from 50 behind,” said 39-year-old Hawkins. “I think it hurt him a little bit. When I got chances I had lady luck on my side — I fluked a red into the middle pocket in the third frame and made a good break. In spells I felt pretty decent and confident in myself. “I was 5-0 up and probably relaxed a little bit and missed a couple of balls, but I wasn’t twitching at that stage. Anything can happen in this game and if he goes 5-3 then all of a sudden I’d start feeling it a little bit more. I was pleased to get over the line at last. Murphy said: “It’s not what I’d envisaged over Christmas and New Year when I was thinking about this great event. I really felt I turned a corner in Glasgow and came here expecting to play very well. “Those first two frames were two of the worst I think I’ve ever played and that completely bamboozled me. I did try hard, I never gave up, but there was too much to do and it was too little too late. “My next focus is the German Masters and trying to climb that one-year list to try and get in the Tour Championship. That’s my next big thing.